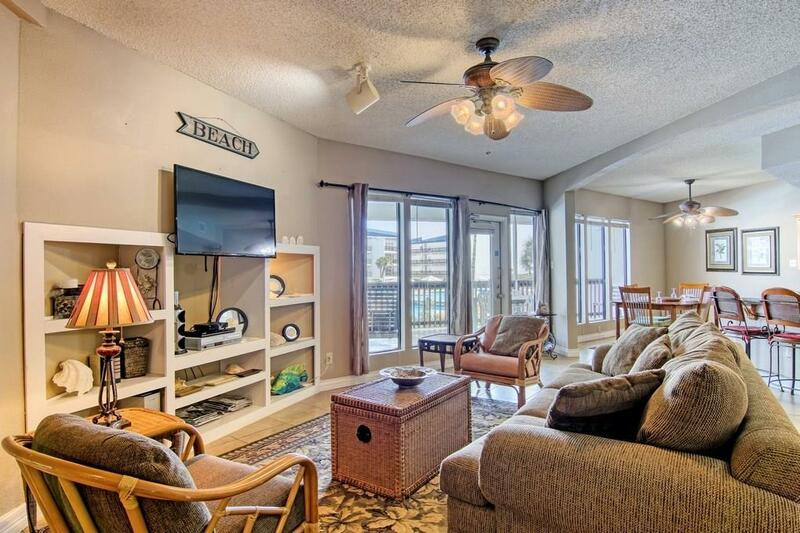 Amazing Gulf views from this POOL-SIDE, SHADY-SIDE unit at beachfront Port Royal Resort! Fabulous updates in this 2-bdrm, 2-bath gem include tile flooring throughout, granite counters & huge custom-tiled master shower. Coveted & rarely available location on the shady side overlooking the pool with views straight to the Gulf so you're right in the heart of the action! 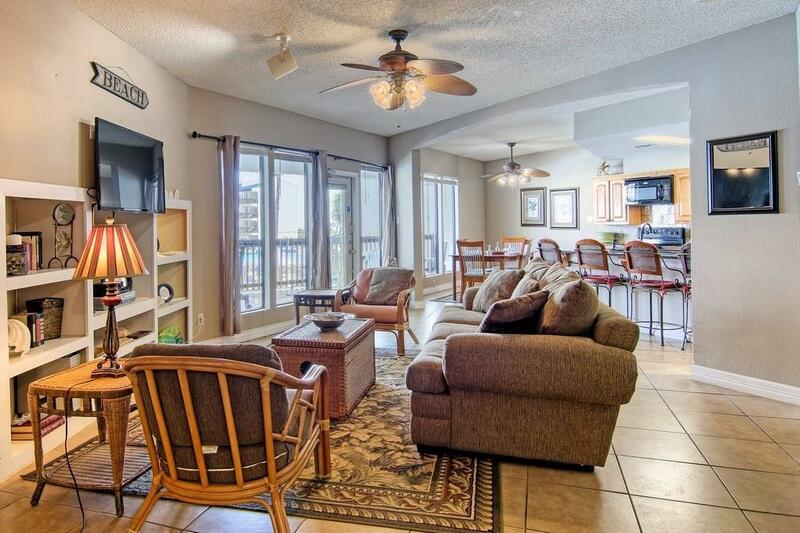 Comes fully & cutely furnished & ready for summer fun! 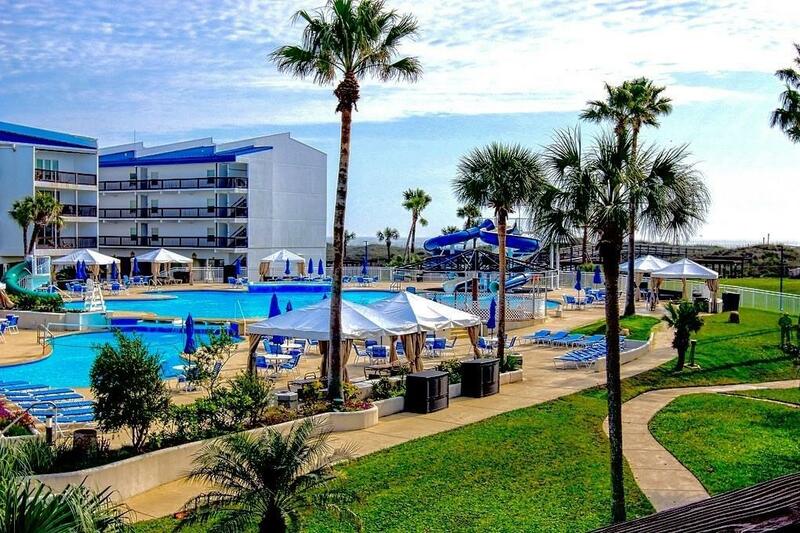 Make your vacations work for YOU with strong rental income at this premier full-service resort! 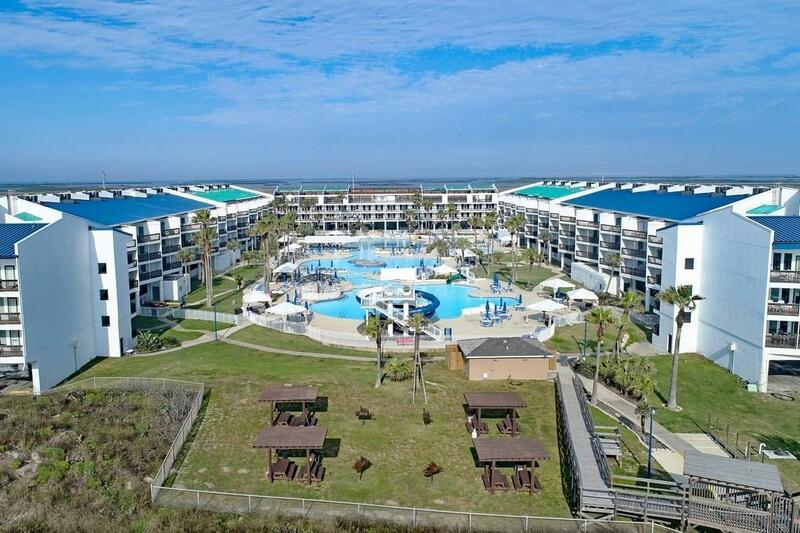 Port Royal has fantastic amenities: Texas' largest lagoon style pool with slides, a heated lap pool, swim-up bar, multiple hot tubs, private cabanas, beach walkover, plus several on-site dining options! There's even volleyball & tennis, or try fitness or sandcastle lessons! Just a few minutes to Port A's dining & shops to the north or to N. Padre & Corpus Christi to the south. Covered parking & security entrance. 2018 taxes $3798/yr, HOAs $1843/mo includes master insurance.